CGTN Documentary (China) is in DVB-S2 van start gegaan op 4153.00MHz, pol.R SR:30000 FEC:3/4 SID:2006 PID:602[MPEG-4]/603 English - Conax. CGTN Documentary is encrypted again after being temporarily unencrypted on 3761.00MHz, pol.R SR:30000 FEC:3/4 SID:2006 PID:602[MPEG-4]/603 English (Conax). Digitürk: CGTN Documentary is back on 10804.00MHz, pol.H SR:30000 FEC:5/6 SID:2520 after a break ( PID:2560[MPEG-4]/3515 original audio - FTA). CGTN Documentary (China) momenteel ongecodeerd (FTA) te ontvangen (4134.00MHz, pol.R SR:30000 FEC:3/4 SID:2006 PID:602[MPEG-4]/603 English). CGTN Documentary (China) momenteel ongecodeerd (FTA) te ontvangen (3761.00MHz, pol.R SR:30000 FEC:3/4 SID:2006 PID:602[MPEG-4]/603 English). CGTN Documentary is nu gecodeerd in Conax (3761.00MHz, pol.R SR:30000 FEC:3/4 SID:2006 PID:602[MPEG-4]/603 English). CGTN Documentary is nu gecodeerd in Conax (4134.00MHz, pol.R SR:30000 FEC:3/4 SID:2006 PID:602[MPEG-4]/603 English). CGTN Documentary is encrypted again after being temporarily unencrypted on 4134.00MHz, pol.R SR:30000 FEC:3/4 SID:2006 PID:602[MPEG-4]/603 English (Conax). CGTN Documentary is back on 11996.00MHz, pol.V SR:27500 FEC:3/4 SID:623 after a break ( PID:4301/4311 - FTA). CGTN Documentary (China) is in DVB-S van start gegaan op 11996.00MHz, pol.V SR:27500 FEC:3/4 SID:623 PID:4301/4311 - FTA. 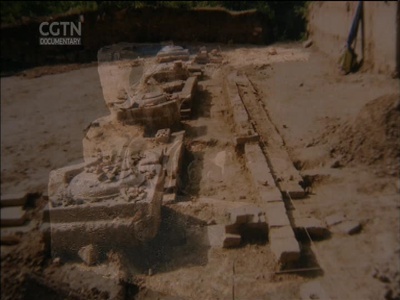 CGTN Documentary (China) is in DVB-S2 van start gegaan op 11585.00MHz, pol.V SR:27500 FEC:5/6 SID:873 PID:514[MPEG-4] /670 English - FTA. CGTN Documentary (China) is in DVB-S van start gegaan op 11538.00MHz, pol.V SR:22000 FEC:5/6 SID:6912 PID:612/632 English - FTA. CGTN Documentary (China) is in DVB-S van start gegaan op 3840.00MHz, pol.H SR:27690 FEC:7/8 SID:8 PID:1860/1820 English - FTA. CGTN Documentary (China) is in DVB-S van start gegaan op 11938.00MHz, pol.H SR:27500 FEC:3/4 SID:911 PID:1011/1111 English - FTA. Canal Digital Nordic: CGTN Documentary (China) is in DVB-S van start gegaan op 12418.00MHz, pol.V SR:28000 FEC:7/8 SID:2029 PID:1172/3102 English - FTA.